It’s been a pretty warm week (OK, a very warm week for February), so let’s think warm thoughts… What is your favorite thing about Spring? Being outdoors is one of ours. There’s so much to see and do on a nice day and it’s also perfect for relaxing and just taking it all in. 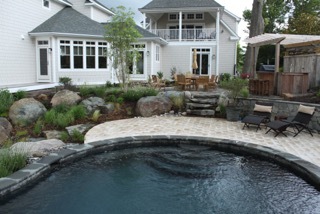 If you want to improve your outdoor experience at your home by adding a custom patio, outdoor kitchen, walkways, a custom gas fire pit, or a stunning waterfall or pool – Call F. A. Hobson Landscaping at 410-739-6800 and let us make your outdoor home something that makes you very happy. We have over 3 decades of experience designing and building amazing outdoor features and we would love to show you what we can do for your property!